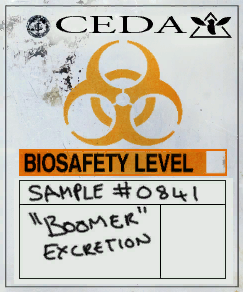 I built this boomer bile prop for a friend that was cosplaying Ellis from Left for Dead 2. It took me an afternoon to make and cost me about 8 bucks. I painted the cap of the bottle white, then used a piece of foam board painted red as the faux cap. I printed out the image, then attached with plain white Elmer's glue. The filled it with the hair gel. I also have a youtube channel, where I make video game, tv, movie, and comic book props on a weekly basis. I also take requests/suggestions on what i should build in the comments of my newest video. Come and check it out in the link below. Thanks! Hey just about to make one of these for a friend we always have fun on L4D. What size is the water bottle by the way want to make sure I get it right. Thanks for the project. nice, keeps the continence usable. Cool looks really great! Definitely gotta love the price point as well! Thanks for sharing! Thanks! Im glad you like it !